Australia edged out India at Delhi by 35 runs in the 5th ODI. In the process, they completed an astounding comeback to clinch the series 3-2. Having elected to bat, the visitors got off to a brisk start with Usman Khawaja leading their charge. The opener notched his second century of the series to put his team in the driving seat. However, his untimely dismissal coupled with the inability of Australia’s middle order to get going allowed India into the game. 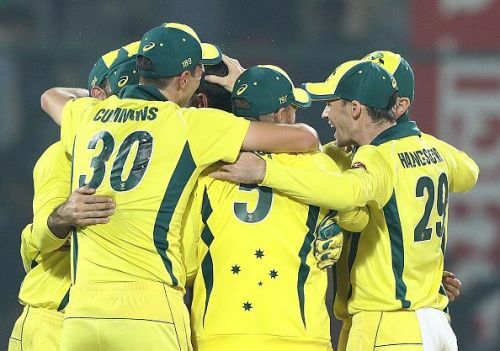 The hosts seemed to have turned the screw with some tight bowling but lower-order pyrotechnics by Pat Cummins and Jhye Richardson ensured the tourists finished on 272. In reply, India lost Shikhar Dhawan early with Virat Kohli following suit a few overs later. 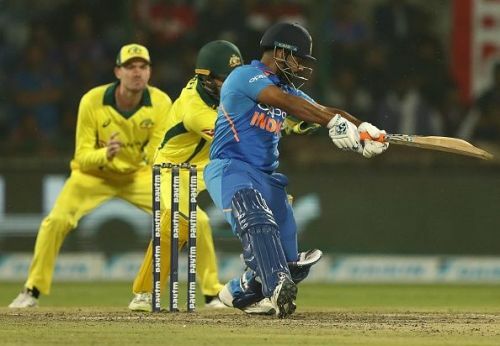 Like many a time before, the hosts’ middle order failed miserably and had it not been for Kedar Jadhav and Bhuvneshwar Kumar, the home side could well have been on the end of a hammering. MS Dhoni was accorded a rest for the final two ODIs with India comfortably leading the series 2-1. His replacement, Rishabh Pant was expected to make the most of his opportunity and seal his spot on the plane to England. However, the lad from Delhi turned in two dubious displays and his World Cup hopes now hang by the proverbial thread. In the 5th ODI, Pant came into bat at No.4 with the match tantalisingly poised. The wicket-keeper had the chance to stitch a strong partnership with Rohit Sharma and lead India to victory. Yet, nothing of the sort materialised and he perished for 16. Though he started brightly, his lack of concentration came to the fore as he wafted at a delivery from Nathan Lyon. The ball spun a touch, took the edge and landed safely in Ashton Turner’s hands. In the past year, Pant has taken the Test circuit by storm with his belligerent showings. But, he hasn’t been able to replicate that form in white-ball cricket. And in a series where most believed that the wicket-keeper would cement his place in the side, he contrived to play himself farther from contention than he has ever been.